Tirunelveli Town, Tirunelveli, India- 627006. 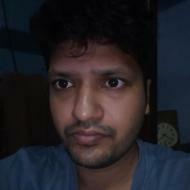 I am a B.E Computer Science Graduate and with work experience in industry, freelancing and NIIT, currently done Masters as well. I have taught programming in C,C++,JAVA,Python,Machine learning.at NIIT as a tutor and privately. Passionate teacher and effective communicator. "He is very dedicated and very good tech person.He has helped me in lots of places while doing course as well as after completing the course.Thank you so much sir for your support. " "Murukessan has the true potential to explain a lot about the domain to the core you chose whichever he has experiences on. In short, he is an encyclopedia of C and C++ languages." "The way he teach us is simply superb. Have enough patience to make understand the concepts to his students. " "He is a good tutor and he shared his knowledge on Java to his students. I am really happy with him that am one of his student for java training. " What is the difference between Python 2.x and Python 3.x? What are small projects to build for a beginner in Python? FOSS, then compact coding, lot of contributors through libraries, needs for web-crawling and scraping, like Google web engine, so easy to get BigData, requirement for ML. What are some amazing projects built using Python? The latest e-Commerce flourishes with Big-Data and Python crawling like in google search engine is a thing to get it, I shall give a grasp on all fundamental of python, give new insights and work on relevant libraries in python that are so vast, making you an expert in a dynamic language. I am more a player than coach, I have been a district champ in my high school days. Also I know the nuances of the game well, and since I am into teaching and a constant follower of chess and player in chess.com, I can teach your kid well for a summer and he/she can carry the knowledge till their GrandMaster titles for sure. C++ adds on to C with OO, Object Orientation, that's like how you see a car, and use it, the driver need not be a mechanic and the mechanic need not be a driver. The interfaces are same steering, breaks, gear and acceleration. C is the language needed to start coding, its simple structured and found UNIX, without C and UNIX by Ritchie and Thompson of Bell Labs, Computers would not have been to this much usage. Its like the mother tongue of computers' languages. It can be a sandwich course that combines your need in Software Programming, could be with a demo-project that trains your skills in computers. I have cracked GATE with AIR 1595 and can handle course for CSE branch of GATE, I am not just a GATE cracker but an effective coach and I also have valuable guidance in the area for career and higher education through GATE in India and abroad. Murukessan Angappan describes himself as Programmer. He conducts classes in C Language, C++ Language and Chess Coaching. Murukessan is located in Tirunelveli Town, Tirunelveli. Murukessan takes at students Home, Regular Classes- at his Home and Online Classes- via online medium. He has 4 years of teaching experience . Murukessan has completed Bachelor of Engineering (B.E.) from College Of Engineering Guindy in 2008. He is well versed in Tamil and English. Murukessan has got 9 reviews till now with 100% positive feedback.